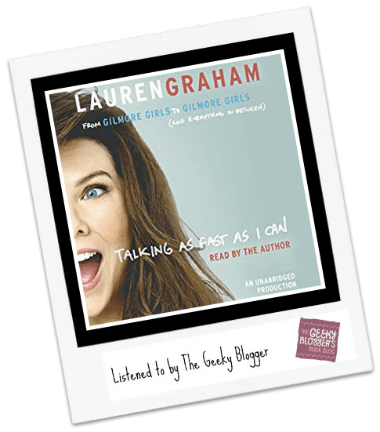 Quick Thoughts: This is one of those that if you love Lauren Graham you have to listen and I mean LISTEN to this book. She is freaking covers everything you want more. If you don’t listen to it, you are really missing out. Old Lady Jackson was my favorite part 🙂 🙂 Just go forth and listen if you are a fan of hers or Gilmore Girls or Parenthood or….. I am big Gilmore Girls fangirl so I immediately listened to this one in one sitting. I wanted more info on Gilmore Girls but I thought it did a good job in covering the beginning of her career to her tv shows. I’ve never watched The Gilmore Girls. I know! But I like the sound of this book. Can I listen without having watched her shows? I am sure it is much impactful to listen to her narrate it vs. reading it!